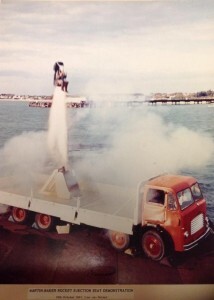 On October 17th 1961 the first use of a Martin Baker rocket assisted pilot ejector seat over sea was tested in the Solent. The Pathe News film above states that the test happened at Lee-on-the-Solent with a dummy. The second part of today’s performance took place 300 yards offshore by Stokes Bay Pier. From an aircraft lighter a dummy pilot was fired 350 feet into the gusty air in the latest rocket-assisted Martin-Baker ejection seat (using more power than was seen at the Farborough demonstration). This was the first attempt to fire the rocket seat at sea and it was entirely successful. The dummy shot into the air almost vertically, separated from its ejection seat, the parachute billowed open and dropped into the sea, where the dingy automatically inflated and lifted the dummy from the water. In the video (above) the No Man’s Land Fort can be seen but this is not visible from Lee-on-the-Solent. It is visible from Stokes Bay. 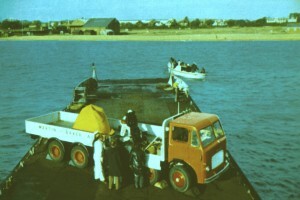 A still photograph shows Stokes Bay pier in the background for the first test. 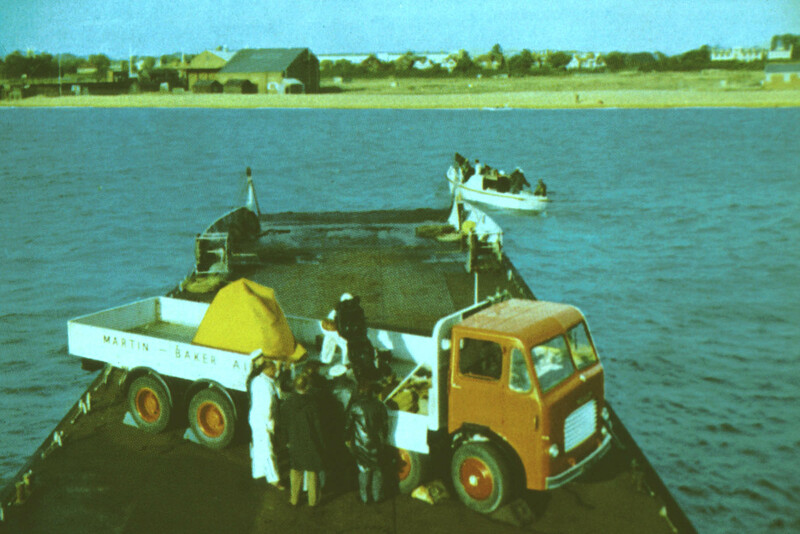 Martin Baker trials at Stokes Bay: Stokes Bay pier can be seen in the background. Martin Baker trials at Stokes Bay: In the background to the left can be seen the Stokes Bay pier buildings and far background The Crescent.